Today we're taking a look at a really special thing. 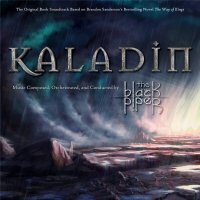 It's a Stormlight Archive album called Kaladin, by a group called The Black Piper. This is quite a huge project that has been worked on since 2015, and consists of three producers and several Hollywood composers and orchestrators. About half of the album has been recorded with the City of Prague Philharmonic Orchestra. In other words, this is a very legit and awesome project. 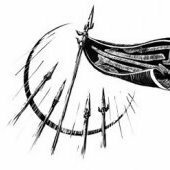 The Black Piper has given 17th Shard a look at fourteen tracks--half of the album--and we're here to tell you about all of them to try to give you a feel for what these are. We're going to talk about the people involved with the project, and also, we're going to talk about the Kaladin Kickstarter they have. So who's working on this? The Black Piper was formed by producer Sae Sae Norris, film composer Michael Bahnmiller (who has done music prep on Fantastic Beasts and Where to Find Them and La La Land), and videogame composer Richard Williams (two-time Student Emmy winner). These aren't newbies to the industry at all. The Black Piper also has a desire to support artists and composers, and there's a lot of other composers on the project, which you can see at the bottom of the The Black Piper's About page. All of these composers have worked in the film, TV, or video game industry. In Kaladin you can really feel the influence from films and video games; it'd feel right at home in either. 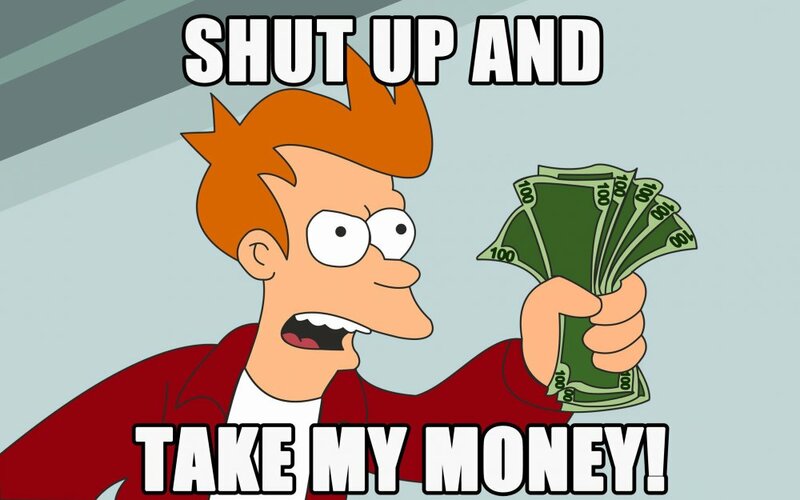 In their Kickstarter, they want to produce Kaladin with the same level of quality as any movie soundtrack. Their goal is to record 95 minutes of music total, 31 tracks in total. and record the remainder with the London Symphony Orchestra. That orchestra has recorded incredibly iconic film scores, some things you may have heard of, such as Star Wars or Harry Potter's soundtrack. You know, just the minor things. They also wish to hire world-class soloists to put in the tracks as well. There's also artbooks that you can get, as well as a number of other Kickstarter upgrades, which we'll talk about soon. But first, you guys want to know what it sounds like. We got to listen to complete versions of these tracks and more, for a total of fourteen tracks so far, which is less than half of the thirty-one they want to have in the finished product. Now, most of the full tracks we heard were, computer generated, which means they didn't have the live orchestra sounds in it (except for a few). I'm going to be honest: these tracks were amazing and they aren't even the final versions. It feels cinematic and epic. 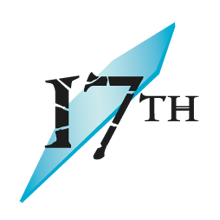 The unanimous opinion of our staff was essentially: "this is amazing, we can't wait to see the final version." But remember, the tracks might change into their final product, so our descriptions might be off in the long run. So let's go through each of these tracks. I'm terrible at analyzing music, but big thanks to MozyTheHealer, Kaymyth, and FeatherWriter for their musical expertise. They helped a lot in writing this. Also, Kerry, Jofwu, and Botanica helped me here, too! Thanks all! This track is a lot like a "welcome to our story" track. There's a slow, solemn lead-up with bassoons, breaking into a proper battle theme that really evokes the battlefield well. There's big sweeping lyric melodies, with some awesome French horn. FeatherWriter says, "There’s a really incredible bit of time signature change with super interesting syncopation that really caught my attention. Just as you're getting used to the 4/4, it throws you out." This one strongly feels at home in a film. This would work perfectly as the music for a trailer in a Stormlight film. As the title suggests, this is all about sadness, despair, and defeat. It really captures melancholy, and has a slight feeling of unwanted hope at the end. One of the composers on this album is really into impressionist sounds. It is heavier on the strings and higher woodwinds, and is overall very atmospheric with its long high notes in the violins and sopranos. This one isn't a particular scene from the book, but it tells about Syl's journey as a character. It starts serene, as if she's a mere windspren, then slowly builds into a joyful film score sound. In the middle, it reminded Mozy of Zelda when the track picks up with chimes and violin runs. At the end, we have a big crescendo that hints at the triumphs to come, then fades away at the end. It's a great, hopeful track, which is a nice contrast from the first two. 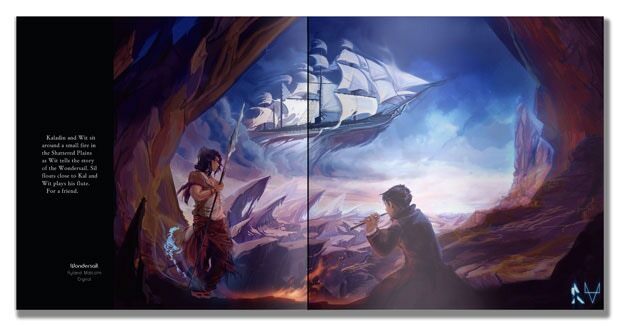 Feather thought the track portrayed Syl as a soothing comfort to Kaladin. It definitely feels like Syl's growth from windspren to Honorspren. Compared to the joy, happy sound in the last track, this one has a sense of mystery, darkness, and gravitas to it. It feels like the part near the beginning of The Way of Kings where Kaladin goes to Honor Chasm, contemplating ending things. The sound captures a lot of uncertainty with the sparse orchestration and minimal harmonic progression. 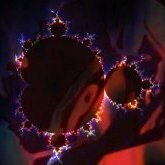 The harmony sits on notes for a very long time before it moves. It then switches to some motifs from the Sylphrena track, and then ends hopeful and triumphant, as Kaladin has new hope. This song is quite different from the first few tracks. It'd be perfect for a training montage scene, like Kaladin training with Bridge Four. There's a Celtic or folky feel to it. It has a lot of percussion and rhythmic motives in the low strings that makes it feel properly militaristic. The reeling melody that weaves through the percussion is an excellent reflection of Alethi revelry even in the middle of the warcamps. This is one of my very favorite tracks--as well as some others' favorite too--and I think I've listened to it about forty times already. There's a lot of atmospheric anticipation in this one. Layers slowly build up, eventually ending more triumphant, with a sweet violin solo. It has the feel of a character's self-discovery moment. It's easy to imagine this right in a movie or TV show, and you can feel exactly the scene this track would go into. You know exactly the scene a track named "Highstorm" would represent: Kaladin facing the storm. This track starts dissonant and discordant, giving you a feel of unease. Then, the track rapidly builds, like the stormwall is rushing right toward you. The string instruments go crazy, the brass enters, and the bass is literally dropping. Just listening to the track, you can feel your heart beat faster and you're just thinking, "oh crap, oh crap!" This is intense. The song ends more calmly, almost ethereal, as the highstorm passes and you're in the riddens. This one is spectacular and perfectly matches the urgency and majesty of the highstorms. This one feels warm and homey. Kerry described it perfectly: "I feel like I’m walking the main character of a JRPG through their hometown, and that’s exactly what a Hearthstone track should feel like. Rich with emotion and nostalgia. I thought I caught a bit of a Shenandoah-inspired melody here and there, which lent an air of homesickness when listening from the perspective of Kaladin reminiscing." At the end there's a snare drum part which made basically everyone who heard this song die. The drum could either represent the drums of war, or the drums before an execution. So, obviously, Wandersail has a flute part in it. Well... we didn't hear this song with the flutes. (I imagine this is one of the "hey we want a world class soloist to do this" thing from the Kickstarter.) What we heard is a sweet underscore of non-flute stuff where Kaladin is seeing what Hoid is making, in between flute parts. In some respects it feels a bit like Pirates of the Carribbean in Stormlight, which is a big compliment. It's strong and cinematic, especially near the end, where it is gets faster and darker, to show the end of Derethil and the revelation about the Uvarans. Still, we really want to hear the flute part! This is the scene where Bridge Four is on a bridge run, and Kaladin, in Parshendi armor, distracting the Parshendi from the bridges. You can very clearly hear the transitions between the three glyph themes. Wind is ominous and powerful, Protection is equally powerful but more rhythmic and certain, and Beloved lifts the piece up into a state of joy. The end, though, feels like it pulls at least the second two together into one. It takes a while for this to feel like a cohesive piece, but the payoff at the end is worth it. The title of this references the death rattles, and as you could imagine, it is quite spooky. It isn't a slow track, though, but more a scene during a battle where things are going very wrong. It's about the part where Kaladin says the Second Ideal, and it is dark and despairing. It has some synth parts creeping through the other sounds, which makes it feel foreign. It gave me a slight bit of a Mass Effect vibe because of it. I'm told there will be some Parshendi chanting added into this song, which will be layered on top of the abstract synths. Considering it already sounds alien and weird, I can't wait to hear the final version with the Parshendi chanting to it. It can only add to the effect. It's the Battle of the Tower, of course. It opens with an epic, truly film soundtrack feel of a battle, but then transitions to a section that captures the feel of betrayal and sorrow of the moment. Then it moves into with some triumph in it, but also keeps you on edge. It grows frentic and chaotic, as the fighting intensifies. Some of the transitions are so gradual and then others just happen in a split second, that it makes there be a feeling of uncertainty amidst the badassery. At the end, it slows, and you can finally breathe, as the battle ends. The end fades, but it isn't a glorious triumph, instead feeling just like they got out barely, and so many died. It fits the battle excellently. This we heard with the final orchestrated version, and everything I said about the other tracks being awesome are true, but this really feels way more awesome with the orchestra and the vocals. Mozy describes the track as such: "The beginning does some pretty good anticipation IN THREES with the first motive. (Threes are my favorite thing where it takes three times to really hit the moment). The first start is like “ooh is something happening?” and the second one is like “Yuusss something is happening” and then it flakes out. There’s obviously a few different things going on. I feel like the beginning is more war-like, and then it hits a pretty nice lyric section, that moves into the vocal part at the end." A piano joins at the end, building into a true triumphant moment, which feels exactly like would play when Dalinar puts his Blade on the Thath glyph to save Kaladin. Heck yes. It's emotional, stirring, and breathtaking. So in the description of the project on the Kickstarter, they say this album is about Kaladin's journey through The Way of Kings, but here we clearly get a Words of Radiance inspired track. It has both male vocals and female vocals singing the lullaby in Words of Radiance, clearly echoing the notion that Shallan's father sung this at the beginning of her flashback sequence, but Shallan also sung it at the end, too. It's a sad track that feels despairing, with a soft, mourning air to it. It starts with male vocals, alternates between female and male, and there's a short duet, ending with the female vocals. I enjoyed that it ended on female vocals, as anyone who read the last Shallan flashback would know. The background sounds of blowing winds, dripping raindrops, and lightning add much to the music. Then, silence for a few seconds. It slowly grows into a huge choir and organ part, which would be appropriate in any dark moment, evoking the feel of the horror of either moment where this lullaby is sung. It reminded me more of the end of Shallan's flashback sequence, with the storm outside of the manor, and a corpse inside, as Shallan realizes what happened. This last part was a bit controversial among us, as it was quite a different change in the track, but this is how I interpreted it. And that's all the tracks we heard! Overall, there's a depth and complexity to the music that so wonderfully feels exactly what the scene would feel like. We all felt like this would be right at home in a Stormlight movie, TV show, or video game. If we had one critique, it was that we generally wanted the tracks to be longer--which I'd say is a pretty good thing, to have us wanting more! I have absolutely no doubt that the final product will be spectacular. And this is just fourteen tracks. There is definitely a track called "Bridge Four," but after that, I imagine there will be some other really sweet things here. They want a total of thirty-one tracks, for 95 minutes of music, if they hit their goals. So, let's talk about the Kickstarter. The Kickstarter is very ambitious. There seems to be three goals, which are not all listed at the moment. There's a $110,000 tier as the first goal, there's a second goal at a money value I'm not certain what it is, and then there's their final goal, which seems to be $600,000, but it isn't fully spelled out. If they hit their second goal, then they will create the second half of the album (which is not created yet), and also record with the London Symphony Orchestra. That means at the first goal, as listed, we wouldn't get the full 31 tracks, but that is their hope to get that many. The biggest goal will involve musicians working on bonus tracks. So, admittedly, that's ambitious. But what we've heard so far is really great, and if it sounds cool to you, consider backing the project! What are the reward tiers for the Kickstarter? $25 or more: a digital download of the album, a Black Piper wallpaper, and a digital art/sketch card. $950 or more: in addition to the physical album and those things, you'll receive a page of the score of a given song, handwritten in the composers hand, coated to protect it, and signed. $3500 or more: in addition to the physical album, you spend an evening with the creators over dinner. So... you can spend a lot of money if you'd like to! The physical art card in the physical editions are one of six collectible character art cards. They will be one of these six: Kaladin, Sylphrena, Bridge Four, Navani, Dalinar, or Szeth. That's Kaladin. It's a big, ambitious project, but these composers are insanely competent and I'm sure if they meet their funding goals, it will be an amazing final product. Hopefully this gave you a huge amount of information into Kaladin so you can decide if you want to back this! Huge thanks to the Black Piper for letting us listen to some tracks in advance! Also, thanks again to MozyTheHealer, Kaymyth, Kerry, Jofwu, FeatherWriter, and Botanica for helping me writing this article, especially with discussing each of the tracks. So I know of kickstarter, but the finer details of it elude me. My questions are: if they meet all of their goals will it eventually be something you can buy from amazon, wallmart or wherever? So with kickstarter it is more expensive bc you are basically funding their project, but the benefit is you get the first look at the product (or potentially only look if they don't meet their goals)? By the way great write up! Man, you weren't kidding when you said it's long. @Ammanas Good question. I'm not sure how it will be sold after the Kickstarter. I think "Shut up and take my money" summarizes this pretty well, actually. 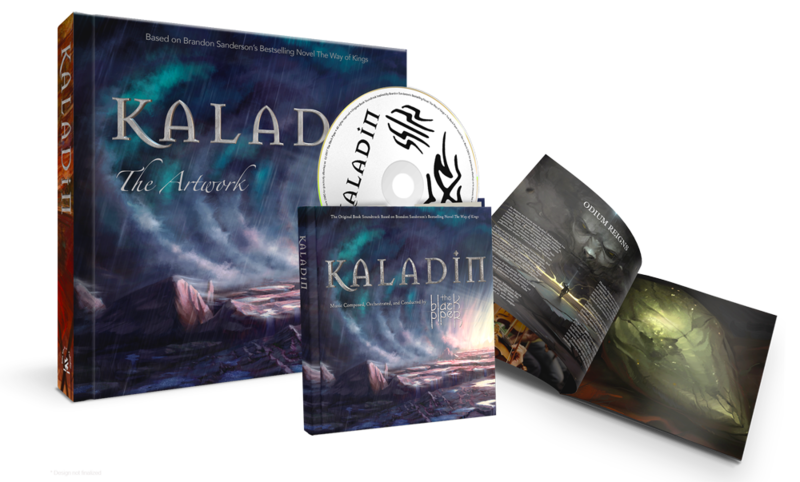 With Kickstarter, you become part of the community that makes the KALADIN album happen. So, while it may be more expensive than it ultimately sells for, without you, it won't happen at all. In the case of KALADIN, some of the songs are already recorded with the orchestra. But... they aren't finished being produced. Some of them still need soloists recorded. All of them still need to be mixed (which costs a fair amount of money). Now, with that in mind, there are also a lot of rewards and add-ons on the Kickstarter that won't be sold after the Kickstarter ends. For example any non-album related artwork products are 100% Kickstarter-exclusive. There are also some pretty sweet Kickstarter-only rewards coming up. Finally, we are going to put out an edition of the album on the Kickstarter that will also be Kickstarter only! The packaging will be like a hardcover book rather than a jewel case, and it will contain a LOT of artwork as well as some other interesting things. So hop on, and keep an eye out for the big things coming. And THANK YOU for your support! Also, many many many thanks to the team here at the 17th Shard for this AMAZING write-up!! You peeps rock! I hope so much that this happens. It sounds amazing. Hey y'all, thanks for the writeup! As the composer (not orchestrator) of the lullaby, I thought I'd chime in for context if you were curious. I actually wrote the piece based on the preview chapters before release. I knew Brandon's father in law wrote the lyrics, and I thought it would be fun to set to music before the book came out, so a reader who searched for it while reading would have at least one take on how it could sound. Because of that, I had NO clue about Shallan singing it again. So, when I wrote it, it was from the perspective of a broken man comforting a child during a highstorm. The second, orchestral part, was me imagining zooming out from the residence and sensing the scale of the storm sweeping across Roshar, and eventually diminishing as they always have. That being said, the cool thing about art is that it can evoke anything and it's never wrong, really, because every experience and listener is different (see Hoid storytelling to Kal, for example). I hope you enjoy and thanks for supporting the project! Thanks for the amazing write up of the music. Your analysis of the songs makes me much more excited for the music than I was previously. Now I'm just trying to decide how much my budget can handle! I don't have any money... but that wont stop me!! Dude for realllll!!!!!! this is awesome definitely getting this!!!! I really want to be part of the virtual choir but I just pre ordered Oathbringer so I'm trying to conserve money... Anyway this looks like a pretty awesome project. I've always loved orchestral music and I know some of us have written fan music but this will be something above and beyond that. Pretty exciting. 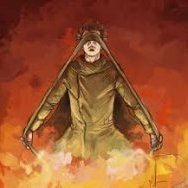 @Mestiv - We're looking at a cheaper option for the digital download (unbundled) for those who can't afford the Kickstarter exclusive bundle. This might be a stupid question, but is this music set to the audiobook and it plays at the same time as you listen to the book? Looks like it's going to be a close call if this thing gets funded or not. 14 days left a barely half of the money raised. Hey Ammanas - anything you can do to help us get the word out would be awesome! Let's see if we can speed up the momentum... Message your friends, write to Kickstarter to let them know how awesome you think the project is! (They put projects on the "Projects we love" list even when they are later in the campaign.) 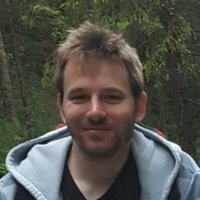 Send the story to friends in the media - anything we can do get more eyes on the project! The Kickstarter is almost over!! Everyone tell your friends! This needs to be funded!! About 90 minutes left and still 7 thousand more to go. It's coming down to the wire! Stormlight 4 progress bar advancement! By I am a stick!!!!!!!!!!!!!! Question: Couldn’t Wit be Creationism?